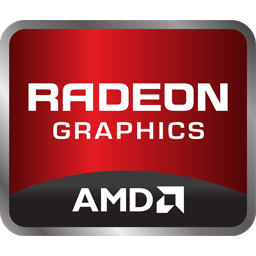 AMD Radeon Adrenalin Edition is the graphics and HD video configuration software. It delivers unprecedented control of performance and visual quality with ATI Radeon graphics processors. AMD Radeon Adrenalin Edition is AMD’s revolutionary new graphics software. It has a redesigned user interface, supercharged graphics performance, remarkable new features. Also, an innovation that redefines the overall user experience. At no additional charge. AMD new streamlined user interface gets an updated name. “AMD Catalyst Control Center” is now “Radeon Settings”. It enables the best from AMD graphics hardware. User-friendly Radeon Settings is lightning fast, looks sharp, works smoothly. AMD Radeon Software Adrenalin Edition delivers extraordinary performance and precise control of graphics, video, displays. Also, it delivers intuitive functionality. That requires less effort and fewer mouse clicks than its predecessor. Virtual Reality is at the cusp of launching into the consumer marketplace. Tens of thousands of developers are working on a wide array of applications. The latter are a simulation, gaming, entertainment, education, social media, travel, medicine, real estate, e-commerce, and more. AMD Radeon Software Crimson Edition enables all LiquidVR features. That is validated and tested by VR headset manufacturers and ecosystem partners.